Vietnam has entered the new year with strong intentions to drive the economy in a more efficient manner. Representatives of businesses and international organisations talked with VIR’s reporters about how to make the country smarter in all sectors. Under the leadership of the Vietnamese government, Vietnam’s socioeconomic achievements have been remarkable. Over the course of 30 years, the economy has expanded at an average of nearly 7 per cent annually. As a result, per capita income has increased almost five-fold. 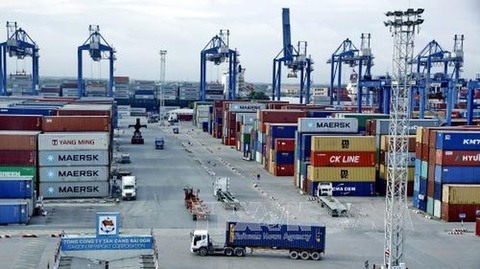 Vietnam today has emerged as a thriving lower middle-income economy and an export powerhouse. Growth has also been inclusive, with poverty falling to just below 7 per cent, compared to more than 60 per cent in the late 1980s. But Vietnam’s journey to become a modern, industrial economy has only just begun, and past achievements are no guarantee for future success. Domestically, Vietnam will have to tackle rising structural headwinds, including a rapidly-aging population, slow productivity growth and weak investment, as well as an increasing environmental toll on development. Leaning against these structural headwinds at home, Vietnam will also need to navigate a changing terrain abroad where shifting global trade patterns and the digital economy are both reshaping opportunities and creating new risks. 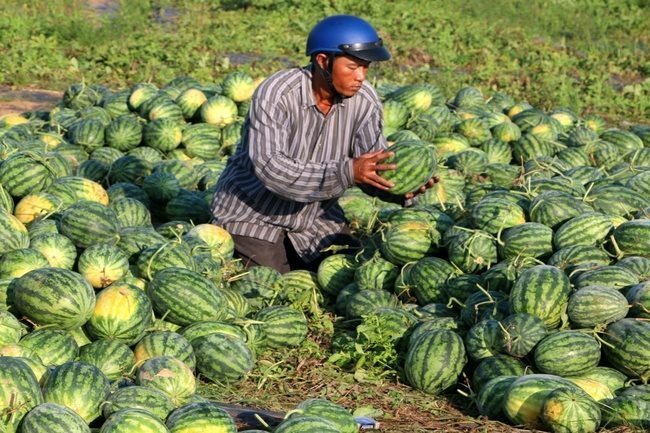 As we are moving into the next Socioeconomic Development Strategy and Development Plan cycle, it is important that we revisit Vietnam’s unfinished reform agenda and reinvigorate its growth potential, not only in terms of the quantity but most importantly in terms of the quality and sustainability of growth. This is essential for Vietnam to realise its aspiration of becoming a successful upper middle-income country as envisioned in the Vietnam 2035 Report. While achieving high or rapid growth is an important economic, political, and social objective, the target should not come at the expense of widening income inequality, unsustainable exploitation of natural capital or unacceptable environmental costs, or be persistently beyond the level of potential growth of the economy, in rate and quality. Key reforms to strengthen the fundamental drivers of high-quality growth over the medium to long term include, but are not limited to, enhancing productivity through more efficient state investment and state-owned enterprise performance, governance, and accountability; a more competitive domestic private sector, including a more level playing-field; greater inclusiveness of financial sector development; quality climate resilient infrastructure; deepening innovations through Industry 4.0; and enhancing the state’s efficiency and effectiveness in its role as a regulator and facilitator rather than a producer. Beyond the progress already made, there are still huge efficiency gains to be made in these areas that would benefit the economy as a whole. These gains, together with the other reforms listed, would also enable the creation of new drivers of high-quality growth, including in areas where Vietnam is highly vulnerable, namely the adverse impacts of climate change, especially at a time when the country needs to meet an ever-increasing demand for energy. Climate change resilience, clean or renewable energy, and higher-energy efficiency offer the potential to become new sources of growth that could grow significantly over time, provided the conducive environment is created and the right polices are taken. As the Swedish ambassador I am very impressed with what the Vietnamese government is doing when it comes to trying to promote Industry 4.0. Apart from the framework, there is a need to be innovative and let this loose. My experience, from my own country, is that it is not structures or rules from the government that creates innovation, but people. Students that are taught early to think freely and think outside the box, even questioning teachers and saying they disagree, creates innovation. In Sweden, we have been fortunate to have an enthusiastic and forgiving approach to trying new things. My advice for the Vietnamese society would be to be a bit more innovative on the individual level. Think freely, think openly, and create new ideas, as innovation does not come from the top. It comes from the bottom. Digital and smart infrastructure ranging from digital factories, power plants, smart grids, smart building or seamless mobility systems are key levers to strengthening basic infrastructure in Vietnam, and at the same time help to drive efficiency and increase productivity. Our most comprehensive Product Lifecycle Management portfolio helps VinFast to fulfil its vision of building the first car made in Vietnam in record time, whereas our efficient plants significantly contribute to mitigating carbon dioxide emissions in the country. Siemens’ smart grid solutions automate and stabilise the power grid and help to cope with fluctuating energy sources such as wind or solar power. The digital twin of buildings offers new dimensions to optimise energy usage and the operation of buildings. Lastly, digital railway provides new opportunities for cities and train operators to run railways that are interactive and self-managing, and at the same time provides passengers with a new level of connectivity besides convenience and comfort when travelling. Vietnam has reached a very positive point in its economic transition from a centrally-planned economy to a market-based one. The country has reformed its financial system, has strong government stability and, in terms of emerging markets, has one of the strongest currencies. Vietnam has very strong foreign investment which has now exceeded more than 100 per cent of the country’s GDP. It is in a very unique position as not many countries in the world have this. Reforms in markets and securities will be critical to achieve an emerging market status. It is important for the government to close those gaps in order to sustain future growth, maintain openness for overseas companies and workers to come, and continue supporting new business startups. The Vietnamese people are very good at establishing businesses. I think the next generation of entrepreneurs is going to look for opportunities to scale up small businesses to create sustainability, offer higher pay rates and more opportunities for workers. There are two clear challenges facing the government in the next few years. The first is sustaining strong economic growth in the face of a turbulent global economic environment, and the second is managing inequality. The government needs to retain a strong currency to ensure that the capital inflow is positive so that Vietnam has a positive trading balance, a strong currency, and does not resort to excessive borrowing of international from funds that creates financial risk. If Vietnam can do that, it will be well placed as a beneficiary, particularly if the trade war between the United States and China deepens in any way. Vietnam is emerging in the region as a key player with exponential growth, ideal geographic location, and a large network of trade agreements. In the 4.0 era, Vietnam is seizing this opportunity to sustain and improve its competitive advantage. We can already witness the government incentivising key areas such as agriculture, energy, healthcare, transportation, infrastructure, and telecommunications. There are evidently challenges like with any major change in history, however, being a nation that scores highly in terms of creativity, adaptability, and competitiveness, Vietnam could potentially narrow the gap with developed countries and increase the number of value-added and hi-tech industries. These are the focus sectors where Archetype Group has a proven track record with a great deal of expertise, especially in Vietnam. Archetype has an extensive portfolio not only in traditional manufacturing sectors but also energy, infrastructure, and hi-tech industries. 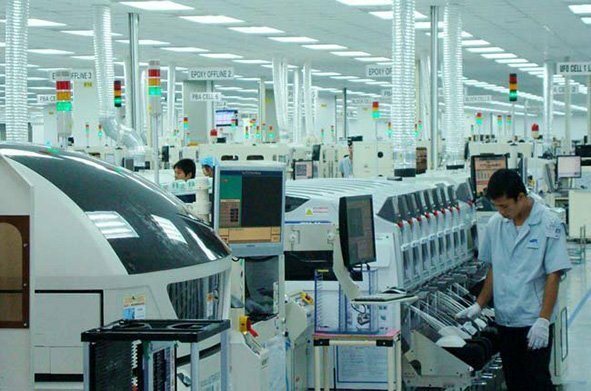 In the wake of Industry 4.0, when businesses are one of the core factors influencing Vietnam’s transition, investors are more focused on harnessing disruptive technologies to increase competitiveness, thus putting a demand on the consultant to have the same level of innovative standards. At Archetype, we employ a continuous integration of technologies into our operations, with a focus on productivity and more importantly the development of our people. Industrial production must be linked with environmental protection and responsive to climate change. We are pioneer and advocate of sustainability and green projects, which we believe will soon become the standard not only for the construction sector but also in the broader Industry 4.0 landscape. Over 20 years in Vietnam, we have really seen the boundaries expand. Nowadays, green energy is one of the most exciting frontiers – more and more clients are prioritising energy efficiency and environmental impacts in their facility management strategy. The exciting thing about this moment in Vietnam is that the technology, economics, and policy are converging to make real, positive change possible and profitable. You have the technology to generate, store, and optimise solar or wind energy on-site. You have the Vietnamese government committed to energy-saving through its state plan, and you have dropping prices for companies that want to become micro-producers of their own power. For us last year, creating ADENENERGY was a no-brainer: the demand and capacity for green energy is here in Vietnam, and so is the larger value of creating a meaningful transformation of cities, buildings, and the environment. Construction is one of the key industries that mark development and prosperity, especially in a developing country like Vietnam. While total GDP here is normally at 6-7 per cent, the construction sector has reached a higher figure at 8-10 per cent for recent years. However, both figures move proportionally with each other. This rate is expected to remain the same for the 2019-2026 period, according to the Ministry of Construction. After the successful rebranding from Holcim to INSEE, we have inherited some advantages from strong market growth. However, the cement industry is still a very challenging competitive environment, especially in terms of the low cement price and higher raw material cost. In 2019, we believe that strong foreign investment into the Vietnamese market will remain the key driver of growth. As a joint venture company, we continue to receive strong support from Siam City Group through the decision to add an additional line in our Thi Vai Grinding Terminal and line 2 expansion study of Hon Chong Plant in the near future. These investments aim to increase our core business with additional capacity, in addition to the diversification of our products portfolio introducing Dry Mix, Mortar, and Conwood, as well as other innovative total solutions. This growth fits well with our commitment to sustainability with our green label products and brand philosophy to build for life. I am particularly proud about URC’s 2018 achievements in advancing product safety and quality standards beyond industry standards. URC is continuously investing in technologies and systems to attain the highest standards in food and beverage production. In 2019, URC Vietnam will continue to promote products made in Vietnam, to reinforce our strong commitment on product safety and quality. We will continue to apply Industry 4.0 in our production, and our Hanoi plant will be the model factory of the future, applying modern technologies such as analytics and artificial intelligence, the Internet of Things, cloud computing, and robotics equipment. URC Vietnam will focus more on sustainability as part of our core strategy. URC co-ordinates with partners throughout the value chain to control the safety and quality of raw materials. In 2018, URC strengthened these efforts on an industry-wide level by joining the PPP Taskforce with the Ministry of Agriculture and Rural Development to develop a sustainable tea sector. This is part of our company’s wider CSR Framework and we will continue this in 2019. URC Vietnam will continue to invest in its local human capital so as to export it to other URC markets. The competencies-based system has enabled the company to identify and develop local talents, from early career to senior executives, as well as focus on the future capabilities needed for success. We expect to carry strong business growth momentum into 2019 in all the sectors we operate in such as buildings, water utilities, and industry. As the market leader in water transportation and water treatment equipment and solutions, we commit to continue adding value to our customers by supplying the most energy-efficient, water-saving, environmentally-friendly solutions at a competitive cost. We also commit in developing our Vietnamese employees so that they can grow their career sustainably with the growth of the company and the growth of Vietnam. Grundfos is a global Danish company which officially established a presence in Vietnam in 2008, and found success in providing high-quality and energy-efficient water pumps and sustainable water solutions to large developers in the country’s rising market. Over the last decade, Grundfos has been providing clean water to thousands of households in Ben Tre and Ca Mau provinces in the Mekong Delta region, through its community projects using solar-powered pumps and pump stations. The company is performing well thanks to the positive economic growth of Vietnam which led to the opening of our new office for 50 staff members. Working in Vietnam for more than 10 years, Terumo Vietnam has been supported by the Vietnamese government, especially in Hanoi. Through the Japanese Chamber of Commerce and Industry in Vietnam, we can discuss and express our ideas to Hanoi authorities. Vietnam is well-placed with a young workforce, rising middle-class, and a growing economy. I believe that investment inflows will continue with the government’s efforts in the development of appropriate and long-term policies and investment decisions. The online tax system is very convenient and helps enterprises reduce administrative work. However, there are still some issues need to be improved so that Vietnam in general, and Hanoi in particular, becomes an attractive environment for foreign investors such as us. We believe that Vietnam needs to improve the legal system, in terms of regulations on international enterprises. 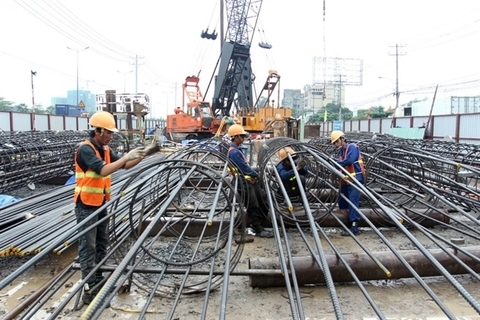 We know that over recent years, Vietnam has made many improvements in infrastructure, but those in industrial zones like Quang Minh also need improved to ensure safety for workers. With the motto “Through health equipment to make society better,” despite big challenges brought by US-China trade tensions, Terumo Vietnam still hopes in 2019 to widen manufacturing scope thanks to an important groundwork of a sustainable macro-environment. We have implemented the plan of doubling capacity so that by October 2019, our treatment plant will reach 300,000 cubic metres per day and night. Then, we can supply clean water to 30 per cent of Hanoi’s population. 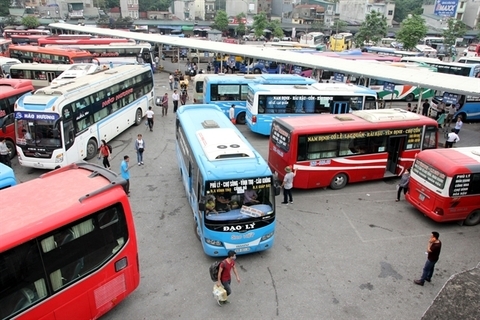 However, we hope that the Hanoi People’s Committee and relevant departments and sectors will facilitate us to connect to the network of water suppliers in Hanoi with the price of over VND10,000 ($0.43) per cubic metre which was approved initially by the Hanoi Financial Department. On October 13, 2018 we inaugurated the first stage of the plant, but so far we have experienced difficulties in connecting with water suppliers in Hanoi, while the current price cannot support us in collecting our investment. We hope that when we achieve full capacity in 2021, we can supply high-quality clean water for half of Hanoi’s population, and at a cheaper price.